Meet the scientists working to understand and protect Joshua tree. Todd Esque is a Research Ecologist at the US Geological Survey Western Ecological Research Center. He studies how organisms, habitats, and ecosystem processes respond to environmental change, how organisms interact to effect change, and how human-induced changes compare to the natural range of variation in arid systems. Lesley Defalco is a Research Plant Ecologist at the US Geological Survey Western Ecological Research Center. She studies desert plants and interactions among species, how they are affected by human activity and encroachment, and how best to restore and preserve desert communities. Karolina Heyduk is a post-doctoral scholar at The University of Georgia, studying plant physiology, gene expression, and phylogenomics. She has a particular interest in the evolution of CAM photosynthesis within yuccas and agaves, but has also done phylogenomic work in the Arecaceae and in pitcher plants. Jim Leebens-Mack is a Professor of Plant Biology in the Franklin College of the University of Georgia. His lab uses genomic data to reconstruct the evolutionary relationships between plant species, allowing them to understand how and why new species evolve, and how plants’ ecological and reproductive characters have changed over millions of years. Michael McKain is an Assistant Professor of Biology the University of Alabama, studying the evolution of genome structure in plant species from yuccas to pineapples. 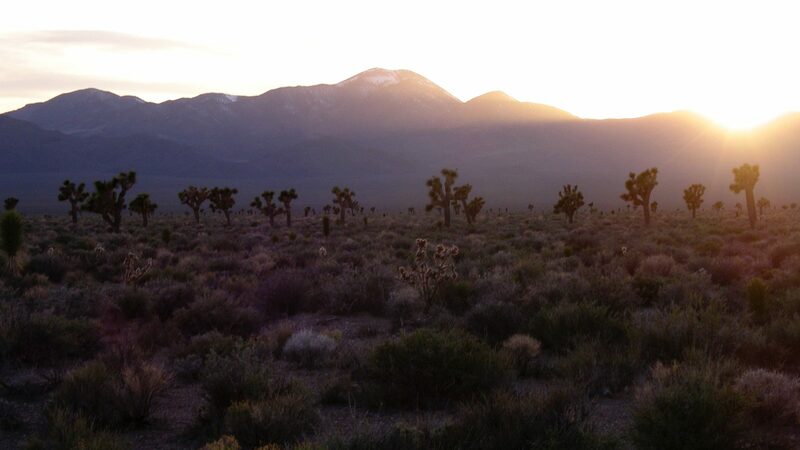 Chris Smith has studied Joshua trees for more than a decade, examining their interaction with yucca moths, their morphology, and their population genetics and genomics. He is an Associate Professor and Chair of Biology at Willamette University. Jeremy Yoder is an Assistant Professor of Biology at California State University, Northridge, studying ecological and evolutionary genomics. His dissertation research focused on the evolutionary consequences of Joshua tree’s mutualism with yucca moths, and he has since contributed to the Medicago HapMap Project and the Adaptree Project, studying the genomic basis of adaptation to varying climates in scientifically and economically important plant species.